The heart attack is a condition that occurs when the blood supply to the heart is inhibited. This is an emergency medical condition that is usually caused by blood clots or fat accumulation, cholesterol, and other elements. Disorders of blood flow to the heart can damage or destroy the heart muscle and can be fatal. In the medical world, heart attacks are referred to as myocardial infarction. The following are symptoms that may appear in patients with heart attacks. Heart attacks are not dependent on the severity of chest pain that is felt. 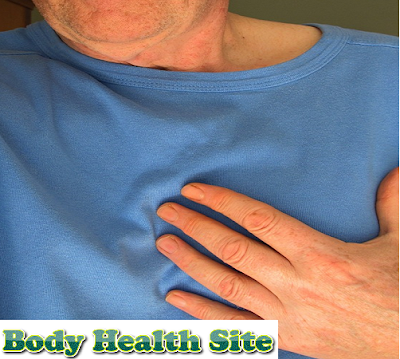 The chest pain that is felt does not necessarily occur in all people who feel heart disease. Sometimes the pain is mild and misinterpreted as common indigestion, such as gastritis (ulcers). Conversely, not all chest pain is the result of a heart attack. Therefore, it is important for us to always be aware of these symptoms. Immediately consult a doctor to get quick and proper treatment. The habit of eating fatty foods. The heart attack is an emergency medical condition that must get medical attention immediately. Immediately go to the nearest hospital if someone is suspected of having a heart attack. For the first treatment, immediately take aspirin with a normal dose of 300 mg, but beforehand make sure that the patient is not allergic to aspirin. These drugs help thin the blood and reduce the risk of a heart attack. The treatment given to heart attack patients is drugs to dissolve blood clots and surgical procedures to restore blood flow to the heart. Treatment will be adjusted with the severity of heart attack patients. Severe or late heart attacks can be handled can cause serious complications and even result in death. Complications that occur can occur immediately after a heart attack. Below are some complications that can occur due to a heart attack. Heart failure. This condition occurs when the heart can not pump blood to the body effectively. Heart failure occurs because the heart muscle has been permanently damaged by a heart attack. Arrhythmias. Conditions when the heart rate becomes abnormal. The heartbeat faster until finally stopped beating and cardiac arrest or cardiac arrest. Cardiogenic shock. The condition when a person's heart muscle is seriously damaged and can no longer supply blood to the body smoothly. This causes the body function does not work properly. Ruptured/cracked heart. Conditions when the muscles, walls, or heart valves have cracked. Patients with heart attacks with complications often die before they reach the hospital. Reduce the risk of recurrence of heart attacks. This can be done with lifestyle changes that patients themselves. Including changes in diet and consumption of drugs. Restore physical fitness. This is so you can get back to doing activities according to your needs. Death often occurs before the patient reaches the hospital, or within a month after the patient has a heart attack. If the patient survives for a month afterward, they are likely to survive very well. The chances of a person's life who have had a heart attack depend on several things. First is the age of the patient. If the age of people who have a heart attack older, the possibility of complications will increase. Second, the severity of heart attacks also affect the chances of a person's life. The most important is how severe the damage to the heart muscle that occurs. While the third, the time it takes a person until he gets help when having a heart attack. The longer the heart attack handling, then the chances of life will be reduced. 0 Response to "Heart attack"